ProSource Flex Foam Rollers are versatile tools for gently massaging tight muscles and improving elasticity, body awareness, core strength and balance. Ideal for beginner and intermediate users, the firm EPE foam provides moderate pressure that flexes with the body’s natural contours. Foam rolling helps get rid of painful knots in large muscle groups like legs, calves, and glutes. 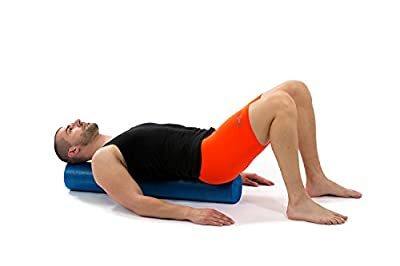 The full rollers are great for stretching the chest and back, improving posture and spinal alignment, and are commonly used in Pilates and even yoga. The half-round versions can be used for stretching and massage as well, but are ideal for core stabilization and balance exercises that can greatly improve your overall fitness and strength. Train like a pro, train with ProSource!